A modern marvel in an ancient city. The Metropol Parasol canopy in Seville, Spain is one of the most stunning modern structures of the 21st century. 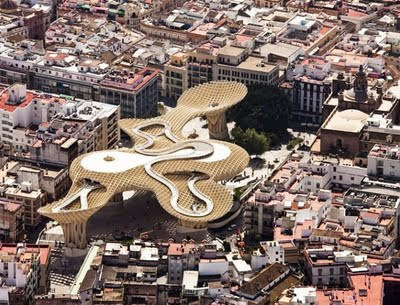 Designed by German architect Jürgen Mayer H., the massive wooden Parasol overlooks a museum, community center, and an impressive array of restaurants. A modern marvel in an ancient city.